Expansive mountainous views, towering aged trees, and dramatic rock geology are just some of the astounding and amazing features of Cape Town’s most beautiful hiking trails. From routes beside vast oceans, to pathways balancing on rocky ledges and overlooking the city of Cape Town, these trails require a camera. There will never be consensus on the 3 most beautiful hikes in Cape Town however our list of hikes makes for a good conversation, and an even better day trips. Vast ocean views from the mountains of the central Cape Town are special, and most experienced hikers will commonly say that it’s a magnificent hike that you must experience for yourself. We’ve chosen the Lion’s Head Trail in Cape Town for the day hike experience. 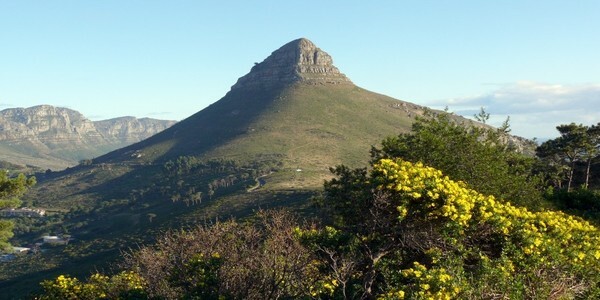 The steep trail climbs 669 meters (0,41 miles) up the Lion’s Head hiking trails on ledges and well worn paths. Lion’s Head distances 5.5km (3,41 miles) round-trip while the trail provides a dramatic (and dizzying height) to view the rugged coast. Insider Tip: Don’t be fooled by Lion’s Head height. The Lion’s Head trail is 669 meters (0,41 miles) elevated which gives the hiker a magnificent view of the city and ocean. Hike Lion’s Head from R 850 = $ 65 per person. Step into the spectacular day hike located on Table Mountain National Park. 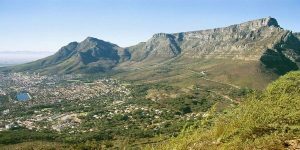 The 3km (1.86 miles) trail climbs steeply from the mountain valley base, through forest and up rock stepping stones, before rising above the city and ending at a jaw-dropping lookout over Cape Town—an enormous cloud cover and wind sometimes stretches for over the table shaped mountain. The name of this is the Table Cloth for it’s distinctive resemblance to a cover over the table. There are many scenic rest areas en route with fantastic views of Cape Town towards Cape Point and Cape of Good Hope, Cape Town. Insider Tip: Dassies are spotted nearly every day near the Platteklip Trail. Understand that they are not exactly dangerous and they should not be fed by humans. Hike Table Mountain from R 1350 = $ 110 per person. 6.2 km (3.85 miles) round trip. In a city jam packed with amazing hikes throughout the Table Mountain National Park, one rises to the challenge above the rest. This 6.2 km (3.85 miles) trek follows a lush forest of Cape Town before heading up and over the breathtaking summit. Kirstenbosch Gardens has 5.28 km² of protected land, covering a large portion of the forest hiking trails on Table Mountain. To summit Kirstenbosch Gardens, hike Skeleton Gorge, the challenging trail that takes both skill and determination to climb over high ladders, rushing waterfalls and boulders. It’s safe to hike this route with a Hike Lion’s Head guide only. Getting lost in the forest of Cape Town can be a slippery mistake. The return from Kirstenbosch Gardens trail is the Nursery Ravine route. Fynbos and Proteas (National flower of South Africa) in hues of red, white, and pink can be found on the Kirstenbosch Gardens trail at certain times of year. Insider Tip: Kirstenbosch Gardens trail is challenging due to both terrain and obstacles. Hike Lion’s Head guides makes it decidedly easier to hike by providing guests with a sure way on the trail ahead. The Kirstenbosch Gardens hike will be one of the highlights of your trip and most likely South Africa. On return from the hike, get a tour of the Kirstenbosch Botanical Gardens and the locally famous canopy tree walkway. 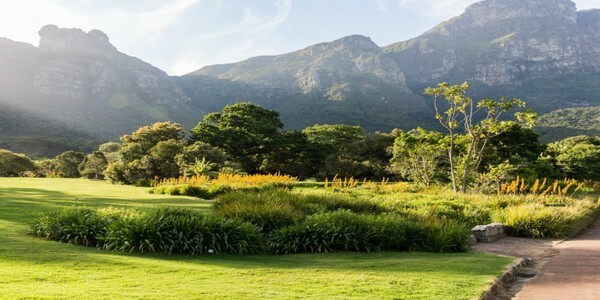 Hike Kirstenbosch Gardens from R 2050 = $ 150 per person.